Following shortly on from the outbreak of Listeriosis in South Africa attributed to the meat product Polony, Australia has now seen an outbreak affecting 20 individuals, resulting in seven deaths. In this instance, the food source was rock melons, otherwise known as cantaloupe melons, from New South Wales. Potentially infected produce may have subsequently been imported to several far and middle-eastern countries: Hong Kong, Japan, Kuwait, Malaysia, Oman, Qatar, Singapore, Bahrain and the United Arab Emirates have been listed as receiving the melons. 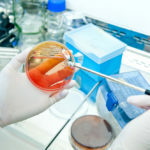 There are recent reports that patients outside of Australia have been affected, since two individuals in Singapore have been infected with a Listeriosis strain similar to the Australian outbreak. Understandably, the outbreak has had a severe effect on melon consumption throughout the whole of Australia, with reports that as demand has plummeted, thousands of melons have been left to rot in fields across the country despite many farms being several thousands of miles away from New South Wales. Although the infected melons have now been recalled, as the incubation period for Listeria can be several weeks, further cases might yet occur. The on-going malaria epidemic in Venezuela may be poised to spread deeper into Latin America. The economic and social situation in the country has caused a significant movement of people out of Venezuela and into Brazil, and other neighbouring countries. 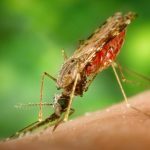 As the number of malaria patients in Venezuela was estimated at over 400,000 last year, it is feared that malaria will be carried to the surrounding countries by affected individuals, setting up further epidemics as local mosquitoes become infected, having themselves bitten infected humans. The WHO has urged free screening and treatment of the migratory population in an attempt to combat both the disease in the patients, and to stop its further transmission. An outbreak of E Coli has affected almost 100 individuals in the United States, hospitalising over half of the patients and resulting in renal failure in some patients, often children. Cases of the disease have occurred from 22 states across the USA, and have now been linked to the ingestion of infected Romaine lettuce. Despite suspected culprit farms having already been identified from the Yuma district of Arizona, confirmatory tests are yet to be completed. Although potentially infected lettuce has already been distributed to restaurants and supermarkets, as it is now beyond the 21-day shelf life for this product, there is hope that the infected produce will not be used. It should be noted, however, that as there has been a two to three-week lag between an individual becoming infected and the disease being reported to the CDC, officials admit that in the following weeks more patients may come to light. The epidemic of Lassa fever continues in Nigeria, with 413 confirmed cases having now been confirmed from 21 states. Around a quarter of these patients have sadly died from this serious viral illness spread by the Mastomys Natalensis rodent. National and international agencies are currently involved in heightened surveillance of the disease, and in the three most affected Nigerian states of Edo, Ondo and Ebonyl, dedicated Lassa fever treatment centres have now been established. 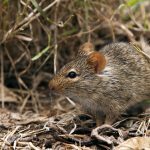 Although the weekly numbers of new Lassa fever cases have been recently decreasing, authorities warn that as Nigeria is still in the midst of the high transmission period for the disease, continued surveillance is required as further patients are sadly expected. Particular attention is being paid to cases that may occur across Nigeria’s borders: such patients are at particular risk of being lost to follow-up, and could potentially facilitate further outbreaks should human-to-human transmission of the Lassa virus occur.